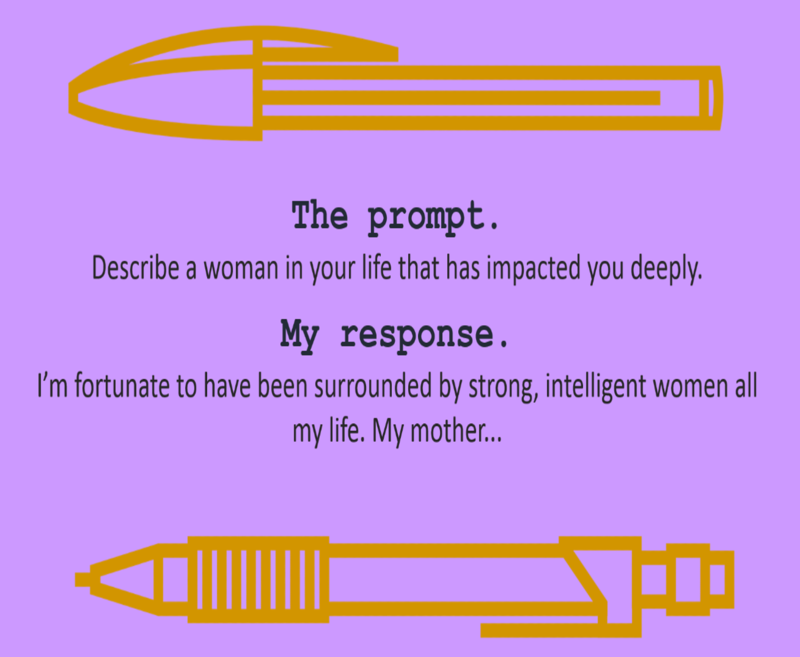 Describe a woman in your life that has impacted you deeply. I’m fortunate to have been surrounded by strong, intelligent women all my life. My mother, her friends, my mother-in-law. They’ve all contributed so much to my personal growth. But without a doubt, my maternal grandmother has had the most profound and direct impact on my life and the person I have become. Pragmatic and industrious, she is a product of the Depression-era South. The youngest of five children, she was raised without a father; he died in an accident when she was just 2. Despite the pressures of poverty and a number of tragedies, she finished high school, even when none of her siblings did. At 17 – the summer after she graduated – she was invited to visit a beloved aunt and uncle in Washington, DC and her mother told her, “If you leave, you won’t come back.” My great-grandmother had never been away from rural South Carolina but she must have known there was something greater out there for my teenage grandmother. The visit indeed became permanent. World War II gave her the opportunity to work as a secretary for the Navy Department. And the Navy Department secretarial pool took her to dances where she met the handsome, young sailor who would become my grandfather. At 90, she has seen them all pass. Her mother died shortly after she moved north. All of her siblings are gone. The handsome, young sailor died in 1985. Several months later, she lost the beloved aunt who had helped her begin her adult life in the nation’s capital. But she still has her three children – six grandchildren – three great-grandchildren. She soldiers on and I’m confident she gives us more than we’ve ever been able to give her. She has taught me to keep moving forward, no matter what happens. Our past doesn’t define us and neither do our losses. She has encouraged my sense of humor and my creativity, I believe, because sometimes these are all we have. She has taught me to be generous, but to have enough for myself. She has taught me to practice gratitude and to repay favors whenever possible. She taught me to have good manners. She taught me humility and has modeled selflessness that I can’t even begin to live up to. She taught me to be self-sufficient. At 90, she is not as industrious as she’d like to be but she is no less pragmatic. With each year I grow older, I hope I am at least half the woman she has taught me to be.